A magnetic bearing is a bearing which supports a load using magnetic levitation. Magnetic bearings support moving machinery without physical contact, for example, they can levitate a rotating shaft and permit relative motion without friction or wear. They are in service in such industrial applications as electric power generation, petroleum refining, machine tool operation and natural gas pipelines. They are also used in the Zippe-type centrifuge used for uranium enrichment. Magnetic bearings are used in turbomolecular pumps where oil-lubricated bearings are a source of contamination. 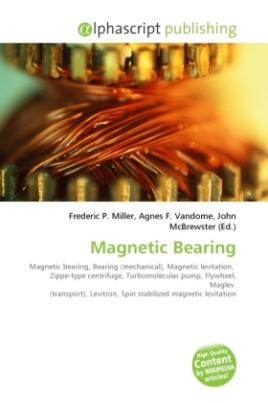 Magnetic bearings support the highest speeds of any kind of bearing; they have no known maximum relative speed.